Monday: Doctor Richard Mabry was our in-house guest on Monday, talking about what you seek... in work, in life, in love. Winner of his new novella "Surgeon's Choice" is Elizabeth Aldred. Wednesday: Chris Fabry asked us to think about if you could ask any living or deceased writer a question that would aid in your own writing journey, what would you ask? Revisit the post and check out the comments! Friday: We welcomed Candee Fick and spent a great day talking about theme and purpose and Why Every Story Should Have A Moral. Check out all the ways to win a copy of Focus On Love during her pre-launch and launch activities and parties! Monday: Mary Connealy, in her own unique way, shares with us the Word Of The Year--Change! Tuesday: Kelly Irvin shares with us Affliction: A Writing Tool For Touching Readers. Wednesday: Mindy Obenhaus is here with a beautiful post that proclaims "God is in the Details--And We Should be, Too." 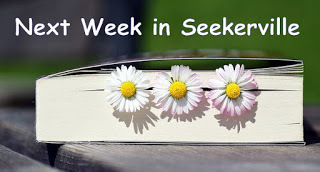 Friday: Don't miss Beth Erin as she makes her Seekerville debut all about Connecting and Encouraging Plus Seekerville Book Bingo. What a way to celebrate a Happy Friday! COVER REVEAL!! 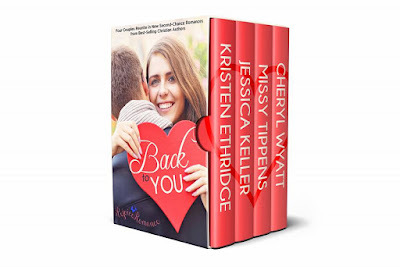 Missy Tippens has a new cover to share! Links will come very soon, once the boxed set is released. But y'all get a sneak peek! Meanwhile, along the snow-filled plains of Lake Ontario, on a snowy, cold, windswept farm, Ruthy Logan Herne is huddled under SEVERAL BLANKETS after fighting off the dastardly flu-monster and she's back to writing sweet, wonderful books that make her smile and warm you from within. 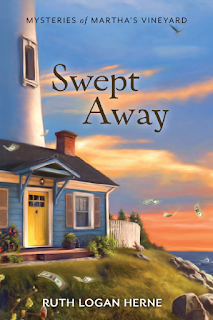 :) And she's so excited that "SWEPT AWAY" released this week, a new Guideposts mystery for our Ruthy! It's AVAILABLE HERE!!! And tell me what you love about mysteries! Thanks for the link love! 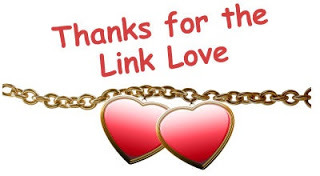 Do you have special links to share? 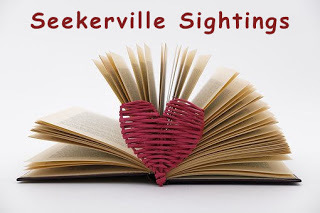 Send them to Seekerville2@gmail.com and you might see them in the Weekend Edition! Who Owns Your Domain Name? from Indies Unlimited. How To Find and Capture Ideas for your Novel from The Creative Penn (Including a video and cheat sheet!). Happy WE everyone! Can you believe it's February already?? What happened...oh and Punexutawney Phil predicted another six weeks of winter, ugh! But I can't complain too much, it's been a pretty mild winter (so far) on the Oregon coast. Loving the cover for Back to You and it contains some great authors. Thanks for the sneak peek! Talking about books, so glad you are feeling better Ruthy & back to what you love doing, writing those books you are so good at :-) Prayers for complete healing for you, my dear! Please do add my name for a copy of Swept Away, I'm sure it will do just that for your readers! Crock-Pot Phil... Punxsatawney Stew. Broiled Groundhog Ribs. Anyway, of course it's another six weeks of winter because it's the first week of February, but the good thing is that it is ONLY six more weeks of winter... and then a dash of leftover snow and freezing rain. But we start to see COLOR in 6 or 7 weeks.... crocuses!!! Thanks, Trixi! Didn’t they do a great job on the cover? So cute. I love your cover, Missy!!!! Oh Ruthy, you are so funny!! Crock-pot Phil 😂😂 How about BBQ Pulled Phil 😂😂 Ok,Ok....but I bet he's a tough old groundhog, not worth broiling or baking, or Crock-potting! Yes, crocuses!! I love when their little purple heads stick up out of the ground, then follows the yellow daffodils (though they don't last long around here.) I bet you are ready for Spring with all the snow blizzards and cold you've been having lately! Missy, yes that cover is so cute! Valentines day is my favorite and that perfectly depicts the feeling of love between a couple. Look how happy she is 😊 I also see Jessica Keller contributed a story, I love her writing too. Plus, second chance romance is a favorite of mine! Guess I'll be buying a copy when it comes out! Congrats to the winners! Love the lineup for next week! Missy and Ruthy have new stories! YAY!!! February has such a good line-up... and this week looks mahvelous, dahlink!!!! And yay for those new stories!!!! Happy dancing for me and the Missy-meister!!!! Thanks for celebrating with us, Debby! Congrats on finishing your book and turning it in! I'm happy you're feeling better, Ruthy. I can't wait to read your new mystery. Great cover, Missy! Just in time for Valentine's Day. Jill, I found your comment in spam. Do y'all remember the "go to jail" games at school/community fund raisers where someone paid the "sheriff" to get someone else and put them in the "jail"? You could pay a quarter for 15 minutes, etc. I missed this whole week due to post surgery rehab. I'm doing well enough now that my doctor released me to go to work on Monday. Congratulations Ruthy on your new Guideposts mystery. 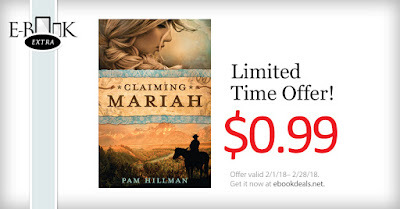 I would love to be entered to win a copy. You are entered, and huge congrats on your strong recovery. Cindy, that is such good news. I am happy dancing for you in cold, sunny Western New York!!!!!! Cindy, so glad you're on the mend. Take care and don't overdo it, though. Thanks for another great week at Seekerville and looking forward to the week ahead. Enjoy your book Elizabeth and congratulations Ruth Logan Herne. Another Guideposts that I would love to read! And Ruthy, hope you feel better soon! I'm so glad to hear you're feeling better, Ruthy. This flu is nasty stuff. Be good to yourself, ok? Lots of chicken soup, and I don't mean Campbell's!!!! The stomach bug and the flu have been rampant in my neck of the woods. So glad that Ruthy's feeling better. Aw, thank you, guys! I'm glad, too... four of the seven of us went down.... but one was much milder than the others, so it's a funny thing! Happy to be back to work and loving food!!! If you're feeling sassy Ruthy, then that's definitely a good sign!! So glad you're on the mend, so many people I know here have gotten the flu and it's nasty business this year. I heard at least one person died from it...yikes! Homemade chicken noodle soup, I should make some here too! Another great week in Seekerville! Wish I could have made every day. Congratulations, Ruthy, on your new release. I love cozy mysteries. Why? I love an amateur sleuth and as a reader trying to figure out whodunnit. Tucking you in there, Ms. Barbara! Me, too! Kicking up my heels like my donkeys! Hip, hip! Hooray!!!! Fabulous WE edition1 RUTHY, congratulations on your release! Caryl, I agree. We have a big pot of leftover chili now! I'll contribute my pan of homemade corn bread to add it it! Yummy!! Testing testing! My comments are disappearing. I forget to check spam every time until someone mentions it, then I have a V-8 moment. lol My brain is a sieve. Good! Comment finally showing up. Thanks for sharing the excitement over the new cover. I love it!! Great weekend! Ruthy, congratulations on your release! It looks great! I love mysteries as I try to figure it out as I'm reading. I like to figure out, once I finish the mystery, how the author got from the beginning to solving the mystery. I love watching Perry Mason for this reason. Mysteries are fun! Hope everyone's having an awesome weekend. I'm hoping it's now my turn for some snow. We'll see! I forgot about Miss Marple. I loved those too! Yes, solving puzzles is fun!! Great weekend! Ruthy, I'm glad you feel better. Congratulations on Swept Away. I loved your first book in this series and look forward to reading Swept Away! I enjoy the pace of cozy mysteries and trying to figure out who committed the crime. Missy, Congratulations on your new story. I'm excited for you and will watch for the reveal! I'm looking forward to Swept Away, too! I pre-ordered it and can't wait to read it. Congrats to the winners and is it procrastinating when I'd MUCH rather click all those great links than work on my WIP???? Must write for 3 hours, then heading out the door to my granddoll's birthday party. She's TWO. Of course, she has everything and didn't really need more toys, so we got her the cutest little dress. So adorable, looks a bit like a square dancer's dress with it's ruffled skirt, and pink cowgirl boots, and a white's child's rocker so she can rock her babies. TWO??? How can she be two already? Time flies, huh?? Our grand-girl will be four on March 2nd and I'm wondering what happened to the baby girl she just was yesterday, lol! Happy Weekend every one.The sun is shining here, but winter weather is due late tonight. I would appreciate prayers as I work on the story I want to submit to the Genesis contest. So far the critiques have all mostly been negative so I'll admit to being discouraged. Some of the comments show they really don't understand what the character is all about. Is it wrong to enter a contest just to get more feedback from more people. I've about given up that I will ever write anything that would even come close to winning. It is also sad to say that so far, I am getting the opinion that some of the people who do the critiques on ACFW loop have forgotten what it is like to be a beginner. I feel like I don't belong. Hope it gets better. They expect everyone to be a perfect author. It would help if instead of being so critical if they gave some help. Some are but not all. My rule of thumb is that there is always something valuable in every critique, but no critique is 100% right. I'll be praying as you work on that Genesis submission! Wilani, finding a critique partner is tough. I killed... oops, make that "went through" several before I found Sandra and we worked together for years.... but it's got to be the right match. Don't feel funny about shopping around! What's everybody cooking for Sunday/Superbowl Food? We're doing tacos, a "taco and nacho" bar, so that will be fun. With peanut butter cookies, chocolate chip cookies and cherry pie. Any excuse to make pie is a good excuse!!!! I'm coming to your house. Not for the game, but to cuddle cute kids and have PIE!!! Well, youse both live so stinkin' far away!!!! But you are more than welcome, come on over! We are having chicken wings, chip and homemade dip, and leftover pizza. Doesn't sound too exciting, but trying not to overdo the junk food this year. Happy first weekend in February!!! We have sunshine today and blizzard tomorrow and then springish weather next week so I don't think groundhog predicting would work this year anyway. The seasons are brawling for dominance up here and nobody's out for the count. A New Zealand version of Midsomer Murders? I'll have to look for that! I'm with you, Kav - armchair detective all the way! Armchair sleuths unite!! That should be a thing...a club of amateur (or not so amateur) people getting together to solve crimes. At least in books anyway, personally, I'll leave the real crime solving to the professional detectives! Ah yes, Kav, I knew you had mentioned some of the shows you got hooked on. And I'd forgotten! I think our library carries the Midsomer Murders DVD's and several other BBC ones. We've also been binge watching Miss Marple, which I believe is an Agatha Christy adaptation. I love Miss Marple, she may be an older lady but she's sharp as a tack!! I loved Miss Marple when I was a kid, and that was a few centuries back!!!!! We're expecting a cold front and arctic blast to move in this afternoon, and I have a pile of wood on my driveway that needs to be moved to the back of the house...anybody want to come and haul wood this morning? Wood warms us three times... cutting it, stacking it and burning it! I would love love love to win Ruthy's mystery. Please put me in the drawing. Not so easy to pick up her mysteries at a bookstore as it is to grab one of her Love Inspired. I live in a small town 20 miles from any bookstore. Looks like a really good week in seekerville, FIVE DAYS, are we celebrating something or were there just more guest bloggers available? Either way i'll take it. And the only place these are available is through GUIDEPOSTS... No bookstores, mail order only. It's like an old-fashioned book club, and I love it, Kaybee!!! What a great chance to reach new readers! And the guest posts tucked in here and there are all part of the transition.... so expect the unexpected! Congratulations to the winners and happy weekend to all! I'm not sure what I like most about mysteries but I think they're tied with romance for my favorite genre. It's fun to figure out things a wee bit before the reveal. Popping your name in, Phyllis!!!! And this mystery is so much fun. It makes me smile to think about it!!!! Kaybee, I hear you on the bookstore. Our Tree of Life closed it's doors three years ago in summer. The only other bookstore carries secular books and very few Christian ones. We live in a small town where you have to go an hour and a half out of town to get to a major city for anything. I mean we do have grocery stores, but no big box retailers...although they are FINALLY building a brand spanking new Super Wal-Mart due to open sometime in Spring! That will only be about a fifteen minute drive, and I'm so excited! Phyliss, I think we just like solving puzzles. At least that's the case for me anyway 😊 Love trying to figure out whodunit and how! Puzzle solvers love mysteries... and I love writing mysteries... so this is a marvelous thing! Puzzle solvers and armchair sleuths unite!!!! Happy weekend to all y'all! Congratulations to this week's winners! I'm super excited (and a bit nervous) about Friday's post! Squeeee! Looking forward to your post Erin! Great week ahead at Seekerville! Last week was awesome as well! I had to read everything late, but thank you all for all your hard work! Looking forward to next week! Thanks for everything!!!! Kelly, reading us late or early, we're just glad you're here! Yay, you!!!!! Armchair sleuths rock! Happy Weekend, everyone. Hope you are all enjoying it and having fun food for the Super Bowl. Looks like a great week ahead in Seekerville. Looking forward to 5 new posts. I have a busy week so won't have a lot of time, but will check in each day as I can. No need to put me in the drawing, Ruthy, as I will be receiving the book in the mail. I think there is one more coming before yours, but I will be looking forward to it! Sandy, I hope you're loving the whole series... it's been so much fun to work with this talented team of authors and the editors are marvelous.... Thank you for ordering them, sweet Sandy!!! Karen, I hope you're loving "Her Secret Daughter"... such a beautiful story. So many tears.... and joys... it is not easy being a mother, is it???? And Swept Away was so much fun to write. I'm getting such a kick out of this whole mystery gig! Who would have ever thought such a thing????? Good WE and thanks for all the insight with each post. And look at these new titles. YAY!